Good ‘ol beautiful fonts. 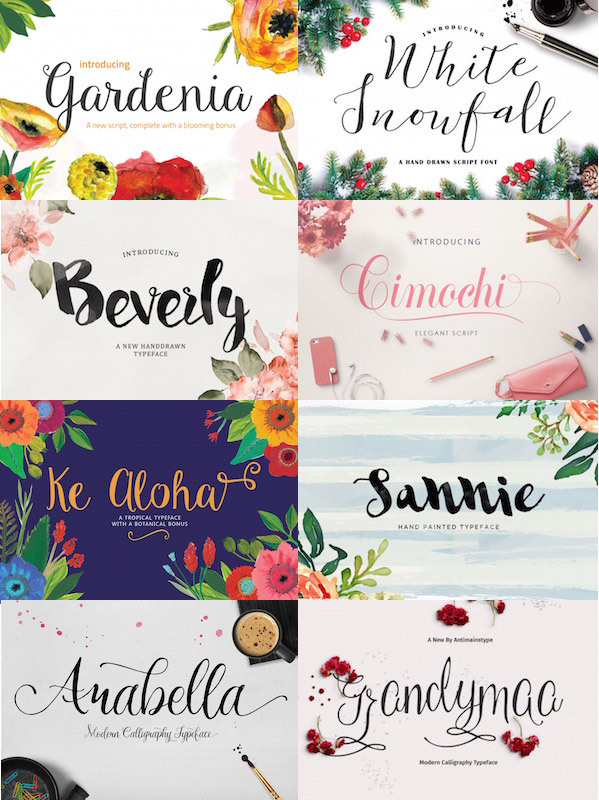 As I said in Part 1 of my favourite brush lettered fonts, there are just so many great fonts around these days! I’ve rounded up my next 8 favourites and there will be one more round up to come! My favourite font resources are Creative Market and The Hungry JPEG. Both of them often have great deals running, such as Hungry JPEG’s $1 deals and Creative Market’s Free Goods of the Week.